The chances are that you are reading this to learn whether you can gamble online with other cryptocurrencies than Bitcoin. It’s true; the famous cryptocurrency is the most used out of them all for gambling purposes. But many others can be used for that as well, and Ethereum is one of them. Using Ethereum for online gambling can be a bit hard as there aren’t many trustworthy choices to go with when it comes to the platforms that accept it. Although, we did our fair share of research and we came up with some. On top of that, we will even help you learn why using Ethereum could be even better than the other cryptocurrencies. Before going any further ask yourself this, “What is Ethereum?” Do you have the answer? If not then keep reading. 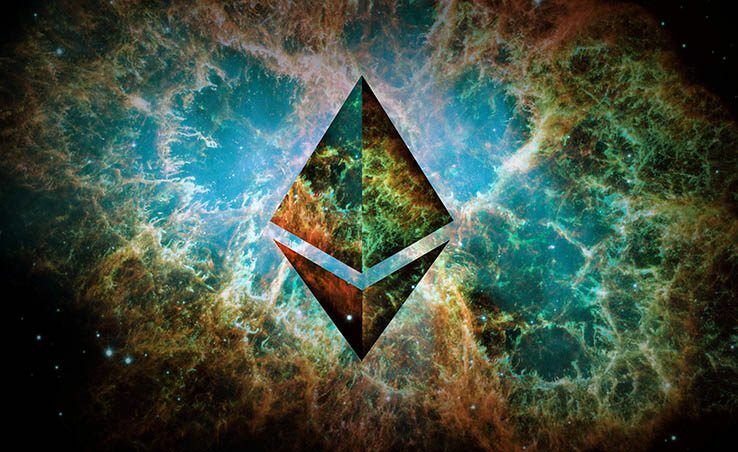 Ethereum was created by a team of four people, but most of the work was carried out by Vitalik Buterin. The Russian-Canadian young programmer wanted to revolutionise Bitcoin by creating his cryptocurrency, and that’s precisely what he went on to do. When Ethereum started its development so did the “Smart Contract” project which is the main feature that makes Ethereum so unique. Smart Contract is the name of a computer protocol which can be used to ensure the smooth negotiation of a contract through various steps. This is where the “smart” portion of its name has its origins at. Ethereum isn’t like most other cryptocurrencies. Instead of being one itself, it provides one apart from all its other uses it’s known for, and this is what we are going to elaborate on in this article. The name of this cryptocurrency is Ether and because it is transferred between accounts to help compute data it may also be referred to as “Gas” even though the latter is a different thing. But this is a story for another time. It is used mainly for those projects which feature a market share of 50% or more, and this is why Ethereum will many times be used for online transaction and online betting. Just like Bitcoin, Ethereum is a decentralised cryptocurrency. That means that not banks or any other banking system have any jurisdiction over the transactions made using it. But is that all there is to Ethereum? No, just like most other cryptocurrencies that can be used for online gambling the security measures implemented are excellent. We mean the privacy of course. Online casinos that accept these digital currencies will usually ask you only for a cryptocurrency wallet address and a simple username. No personal details have to be provided. The only time you will have to use your bank account or credit/debit card information is when you purchase Ether from an online vendor. If you want to read more about the pros and cons of Ethereum gambling, check out our article! You may have noticed how small the previous section of this article was. The reason for that is that we wanted to present Ethereum’s pros and its differences from Bitcoin when gambling online in two distinct parts. So, now that we’ve cleared this let’s take a look at how the two cryptocurrencies differ so much from each other. Unfortunately, Bitcoin is a much widely accepted cryptocurrency in online casinos as even many major ones have started letting its users play using it as their chosen form of currency. The reason for that is mainly the popularity of it. Bitcoin started back in 2009 while Ethereum has only been around since 2015. That is a six-year gap and believe me when I say that when it comes to online gambling, it’s no wonder most people don’t trust it much enough to start using it. When using Ethereum for online gambling, you should be able to place a bet and get your earnings instantly as soon as you win. This happens due to the reason that most Ethereum accepting gambling platforms will not require you to register to bet on their games. This way you can just link a cryptocurrency wallet address with the site without signing up and make a profile thus you not getting asked to provide any details. Bitcoin casinos will not do that. You will be required to register an account on their platforms. But they aren’t so bad because you can get bonuses whereas when using Ethereum usually you can’t get any. Yes, we know Bitcoin is already fast but we will tell you that the time of Ethereum’s Blockchain can process data is 14-15 seconds while Bitcoin’s is about 10 minutes. That means that the transaction speeds can be instant when using Ethereum for online gambling. In addition to this, Bitcoin and Ethereum compute their fees differently. Each Bitcoin transaction is processed the same while Ethereum’s Blockchain doesn’t do that. It processes each one based on the bandwidth usage, its complexity, and the storage space. This is the “Gas” we talked about earlier. The gas is limited based on each block while in Bitcoin it is based on how big the block is. When using Ethereum for online gambling the number of games, you will find it much smaller than those accepting Bitcoin. The main reason for that is what we previously talked about. Most online casinos that accept Ethereum don’t need you to register so the data when playing one of their games has to be very small. On those sites, you will find mostly the most popular Ether game which is a game of chance where you can set your outcome percentages. It is called D7ICE. Also, you can play the roulette and lottery. Some major cryptocurrency casinos like FortuneJack for example, which accepts multiple cryptocurrencies, will let you play even Blackjack and slots. Back when Bitcoin started everyone could use their CPU or GPU to “mine” some. If you didn’t know, mining is the act of using specific hardware to run a code and process data which have a chance to award you with money if you happen to compute some particular things. But Bitcoin changed that, and now you need particular pieces of equipment to do so. I don’t know if Ethereum will do that too in the future but as of the time of this writing, everyone can use either their GPU or CPU to mine Ether. Search Google for a guide and get cracking. You can earn money and later bet those on online casinos to make even more out of it. 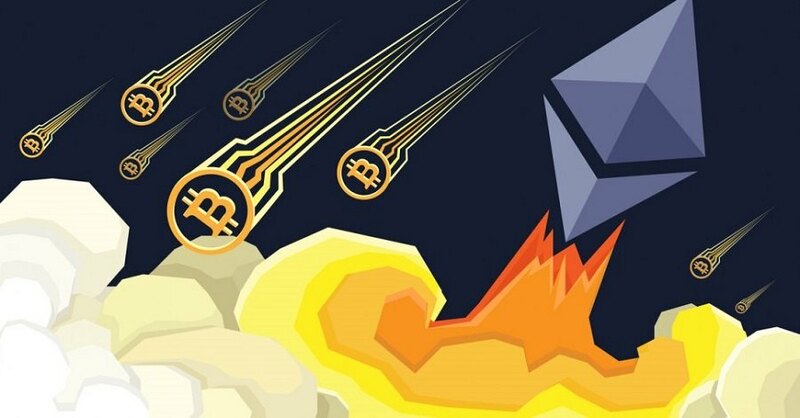 Also, most of the bitcoins that will be mined in the future are already owned by the early miners, but when it comes to Ethereum, it will take five years before half of it will be mined. This happens because the number of distributed Ether halves each year that passes. It would take about 50 more years before the amount of allocated Ether gets small. A simple gambling platform with a single DICE game where you can use Ether to gamble on. You can see the smart contract to make sure nothing shady is going on. You don’t have to register on the site. Just link your cryptocurrency wallet address and you are good to go. One of the few dominant cryptocurrency accepting online casinos out there that have the option to use Ethereum on some of their games. There is also another option called Virtue Poker which is still in development but will be the world’s first poker room using Ethereum and an all-new technology for data processing. If you like playing games of chance rather than those that require tactic and patience, then this is the cryptocurrency you should use. Using Ethereum for online gambling has a lot of benefits, and it’s a straightforward and hassle-free process even though not many choices are available at the time of this writing. Always remember to play responsibly and without the urge. May the roll of the dice be in your favour. Good luck with your future Ethereum gambling adventures!